Facing some life challenging issues that had to be dealt with one way or another, I decided to tackle another burning issue - should I sell my yacht or sail it down to Sydney? I had a restaurant to sell, a court case concerning physical assault to attend and my depression to manage. Putting all these aside, I finally decided to sail my yacht from Tonga down to Sydney. With skipper and crew chosen, we faced delay after delay, Cyclone Larry half way home, the strong winds and choppy seas that followed and then days on end of no wind at all. And that was just the start of the drama. Join me on an adventure of a lifetime, a sea voyage covering over 2000 sea miles, full of fun, fear and failure, coupled with leisure, laughter and finally redemption. 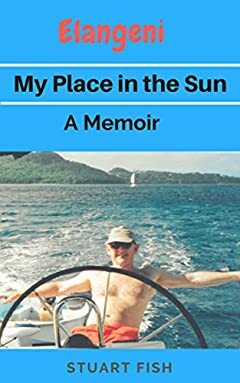 This memoir, on board Elangeni, is a must read for yachties and adventurers of all ages and experience.